Are all the plumbing fixtures in your house decades old? While you might admire their old charm, it might be time to think about replacing your current toilets with modern models. Twenty-first century pumping technology, such as low flow toilets, can get the job done with a lot less water. In fact, low flow toilets can slash your water bill and put less pressure on your local water system at the same time. Before you contact your local plumber (or stroll into a hardware store if you’re the DIY type), you should understand the basics of water-efficient toilets. Here’s what you need to know to save money on every flush. How exactly do you measure the water efficiency of toilets? Regulators and plumbing engineers make toilets more friendly to your water bill by minimizing the gallons per flush (GPF). 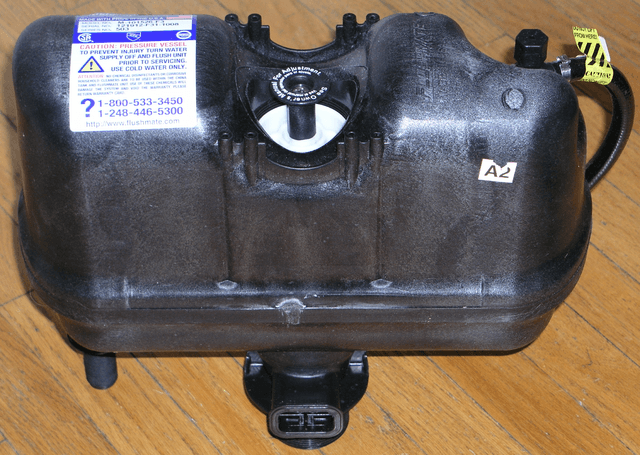 Old models used five (and sometimes even seven) gallons per flush. But federal regulations now require newly produced toilets to use a maximum of 1.6 GPF. Most low flow toilets use up to 1.28 GPF. Older toilets used the pure power of water pressure to excavate waste. But the main drawback to that method is that large amounts of water pressure require large amounts of water. More sophisticated models use innovative engineering tricks to do more with less water. There are three main types of toilets that can make the most out of every drop. Want a toilet that looks a lot like your old one? 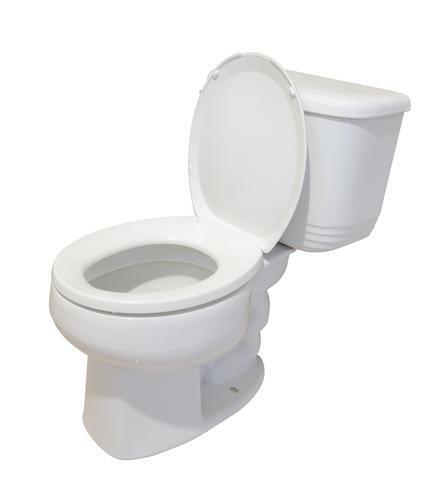 Then you should pick up a classic gravity flush toilet that has low flow upgrades. Gravity flush toilets have been around since the 1930s, and they simply have a tank that fills up the bowl and carries away the waste. But modern gravity flush toilets are built to be more efficient. They have wider flapper valves and trapways, and the trapway is glazed to reduce friction. These tend to be the least efficient of the low flow toilet models, but they work (and look) just like the toilets you’re familiar with. Pressure-assist toilets are the most popular low-flow toilet, and they’re your best bet if you want a nice-looking centerpiece with a water-efficient design for your bathroom. The secret to these models is the pressure vessel. Pressure-assist toilets leverage air pressure to make a small amount of water more powerful. As the water container fills, it traps a small pocket of air. When you flush, the air pressure forces the water to flow more powerfully. In fact, the water flushes at an astonishing 70 gallons per minute — about three times as quickly as a standard toilet. The entire flush takes only four seconds to complete. Some advanced pressure-assist toilets come with a small motorized pump that adds even more force. The main drawback? These kinds of toilets tend to be pretty loud when they flush. According to a Wall Street Journal story in 2002, when these models first started becoming popular, a few people were initially terrified of the toilets. 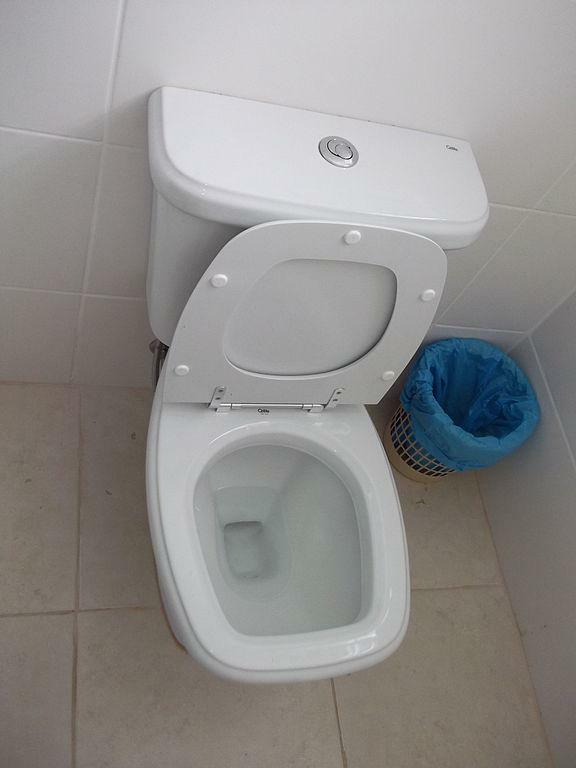 The loud whooshing sound even made some people mistakenly believe their toilet was exploding. If a louder-than-average flush doesn't bother you, a pressure-assist toilet can be a powerful water saver. This model of low flow toilet is almost universal in Australia, New Zealand, Singapore, and Israel, but it hasn’t quite caught on in the United States — which is a shame because it has a few clever design features that make it ultra water-efficient. The first cool feature is the bigger trapway, which is the technical name for the hole at the bottom of the bowl. This means that it doesn’t clog as often, so it’s less likely you’ll need to double flush. Conventional toilets use a siphoning system to flush the waste, in which the bowl fills with water until it’s siphoned out. Meanwhile, dual flush toilets use a “wash down” system: water simply flows freely out of the trapway. On top of that, dual flush toilets make it easy to control your water usage. You can use a button at the top of the tank to flush either liquid or solid waste. The liquid waste option uses less water. There are a few drawbacks to this model, however — which might be part of the reason it’s less common in America. They are pricier than other low flow models. They require more frequent cleaning than typical syphon flush toilets. They also look unusual, mostly because of their compact size and button in place of a lever. The easiest way to identify a low flow toilet is the U.S. Environmental Protection Agency’s WaterSense label. According to the EPA, replacing old toilets can reduce water used by toilets by up to 60%. For the typical family, that translates to more than 13,000 gallons saved every year, adds up to a savings of $110 in water costs and $2,000 over the life of the toilet. As a bonus, you’ll put less pressure on your local water supply, helping ensure everyone in your community will have access to affordable, clean water. "Low flow toilets save money and put less pressure on your local water supply." Is a solar attic fan another great invention, or is it just a gimmick? It’s fine to reuse things like toys, clothes, and similar items, but not all goods are created equally.